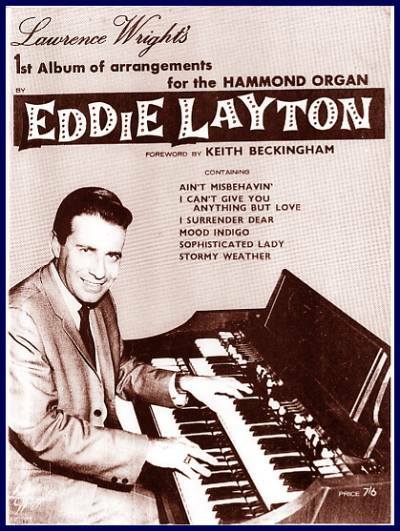 Eddie Layton became popular after the death of Ken Griffin and remained a very active organist throughout his life. He began his studies of music as a child, and discovered the Hammond organ while in the U.S. Navy during World War II at The Naval Air Station in Linhurst, New Jersey. After the war, he studied with theatre organ great, Jesse Crawford. He then played jobs in New York City, culminating in work at Radio City Music Hall. He later was organist for many television soap operas including The Edge of Night and Love Is a Many Splendored Thing (where he used a Hammond X-66). He is widely known, however, as the organist for the New York Yankees baseball team from 1967-2003. He is the one who innovated Charge! and The Mexican Hat Dance at sports events. He also played at Madison Square Gardens. Eddie Layton had a smooth style that many appreciated. He used many special effects on the Hammond drawbars such as clopping horses, the wind, Big Ben and many more. The Hammond Organ Company retained him as a demonstrator for over 50 years, concertizing both in America and abroad. He made the first album on the “new” Hammond X-66, a collection of favorite Lawrence Welk tunes. He also came out with music books of special effects and arrangements for Hammond organ. Although he recorded exclusively on Hammond, he did make one album on a theatre pipe organ. In the mid to late 1960s, there was a British organist named Ashley Tappen, who sold records in America from recordings at the Piccadilly Gardens in London. He recorded several albums as tributes to Ken Griffin. This was, in reality, Eddie Layton in the United States, and the reverberation was added to the recordings to simulate a large hall. Piccadilly Gardens never existed. His ordinary name was Edward Litvin. He was born in Philadelphia, October 19, 1930. Started to play piano at 5, and later became organ pupil with famous Jesse Crawford. He was in his military service in Lakehurst, New Jersey, where he loved to play their Hammond. He was a meteorologist - but became a great organist and recording artist from around 1957/58. He won the competition of the signature melody for the World Fair in Brussels in 1958 - "Bright lights of Brussels" - and recorded it too. His LP's started to come out in 1960 and he became a concert artist for Hammond Organ Company. He was one of the men behind the Hammond X-66 - which he also recorded once. He travelled around the world for Hammond - and he became organist for several Stadiums - and for CBS Radio and TV in New York City - where he also recorded once the large Wurlitzer in Radio Music Hall. Layton also played for many luxury hotel chains, etc., and made around 30 LP's and a number of singles. 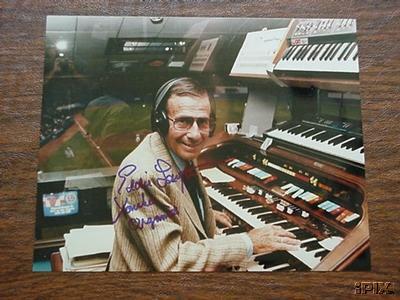 He was organist for The Yankees in N.Y. until autumn 2003. Eddie Layton's hobbies were his 26-foot tugboat "Impulse" and model trains. 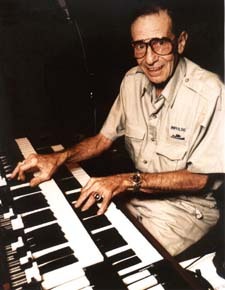 Eddie Layton passed away December 26, 2004, after short time of sickness - in his home in Forest Hills, Queens, N.Y. No doubt, he was among the very best Hammond organists ever. Eddie died aged 77 or 79 (depending on which report you read). He never revealed his age, even to the staff or players at the New York Yankee Stadium where he played Hammond organ for a total of 37 years. Released 26 albums including two CDs. With thanks to Alan Ashton for some corrections to information and typos.